Broken fire equipment, crowded hallways and sealed emergency exits have been found in the wake of the Carina Plaza tragedy. 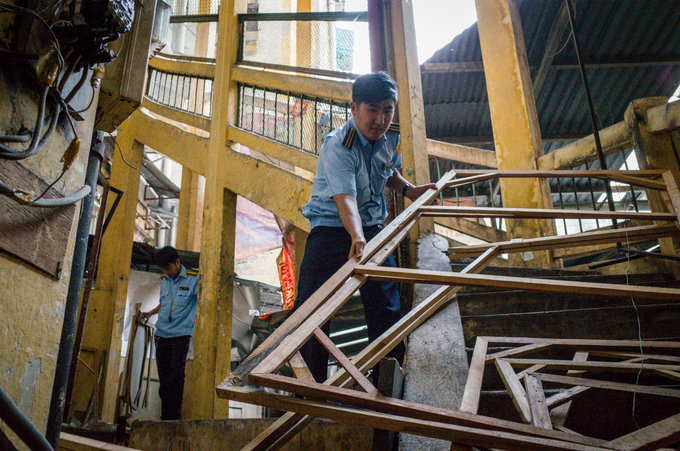 Days after a fire at Ho Chi Minh City's Carina Plaza killed 13 people and injured more than 50 others, authorities have been conducting fire safety inspections at several apartment buildings, and finding multiple violations. 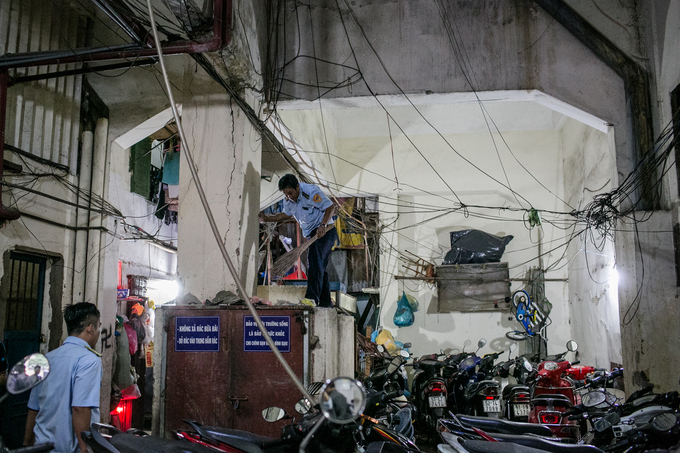 Members of District 1's inspection team remove bundles of electric wires from a parking lot at an apartment building on Nguyen Thi Nghia Street in HCMC's District 1 on Wednesday. 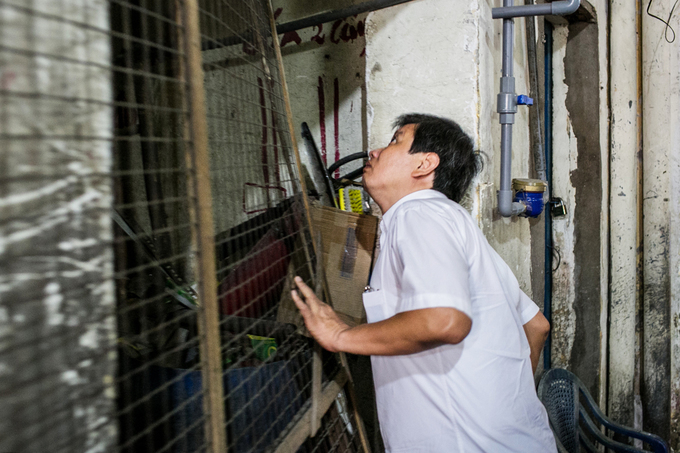 Doan Ngoc Hai, vice chairman of the district, leads the inspection as he discovers flammable objects in the building's ground floor. 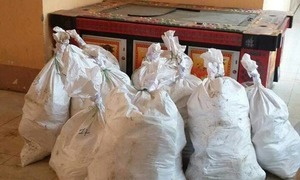 "People just leave their belongings all over the corridors and nobody says anything. 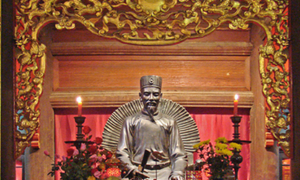 If there were a fire, there would be nowhere to run," said Tran Lam, a 20-year resident. 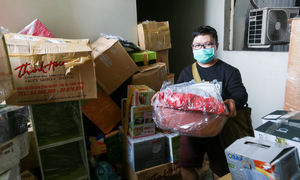 Wood and plastic junk is removed from the stairs at an apartment building on Ly Tu Trong Street, District 1. 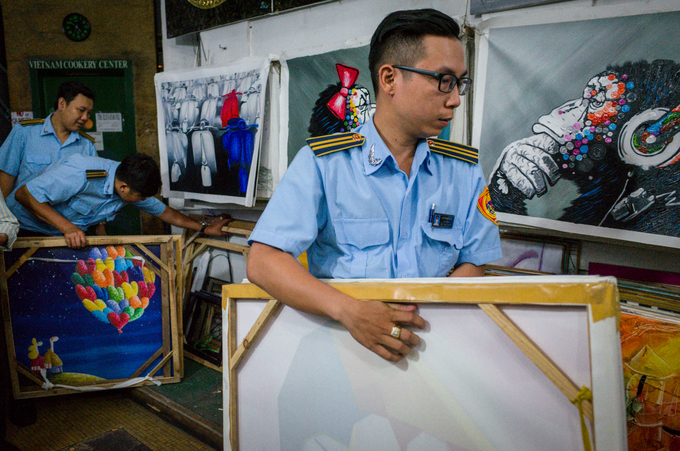 Paintings of an art gallery are removed from emergency exits in the Ly Tu Trong building. 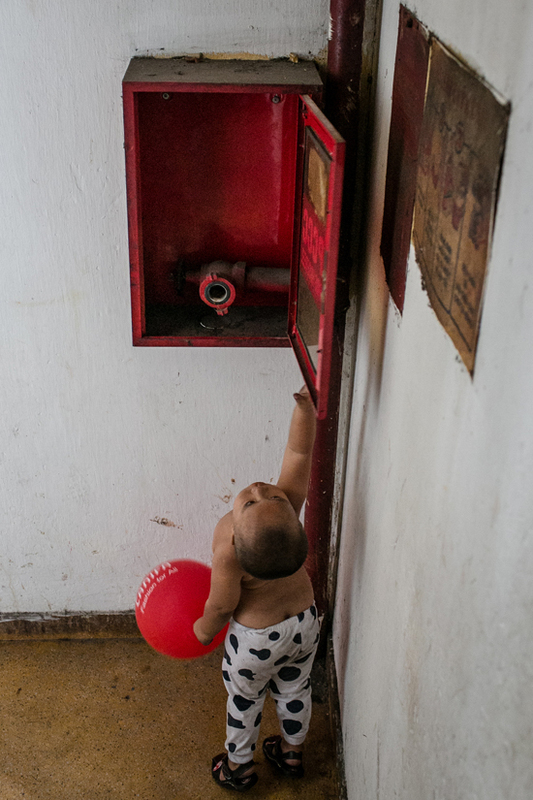 A boy plays with an empty fire equipment box at an apartment building on Nguyen Trai Street, District 1. 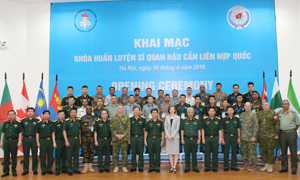 The building's fire alarms did not work during an inspection on Tuesday afternoon. 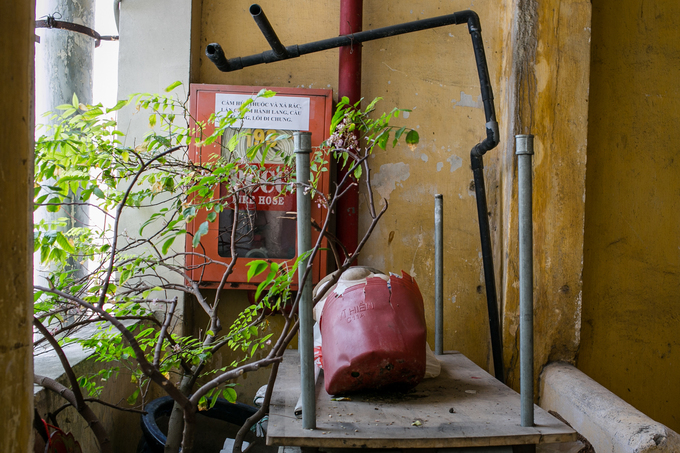 A fire equipment box has been turned into a trash can at the Nguyen Trai building. "All the fire equipment is heavily damaged, but no one pays to repair them. Even the parking basement is fully occupied. 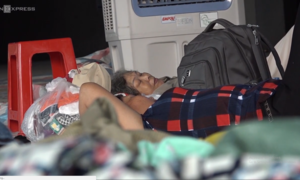 We have filed several complaints to local authorities, but so far there've been no replies," said 51-year-old resident Tran Thi Nga. 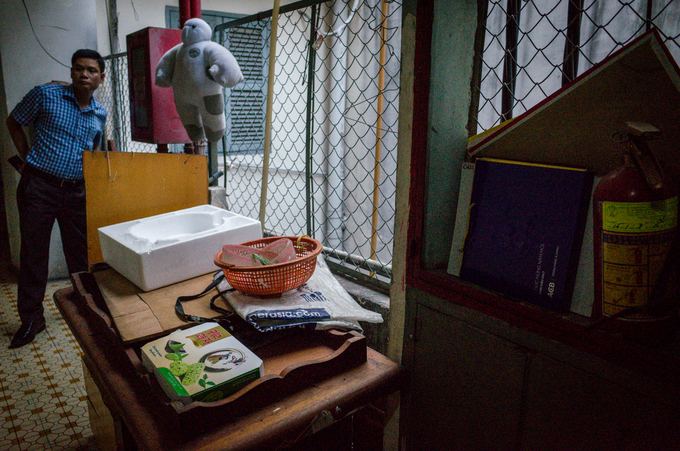 Items littered across the 9th floor of a building on Nguyen Hue Street. "The building's managers do nothing about this. 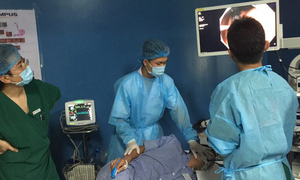 They put up signs but never tell anyone to move these objects away," said a resident. 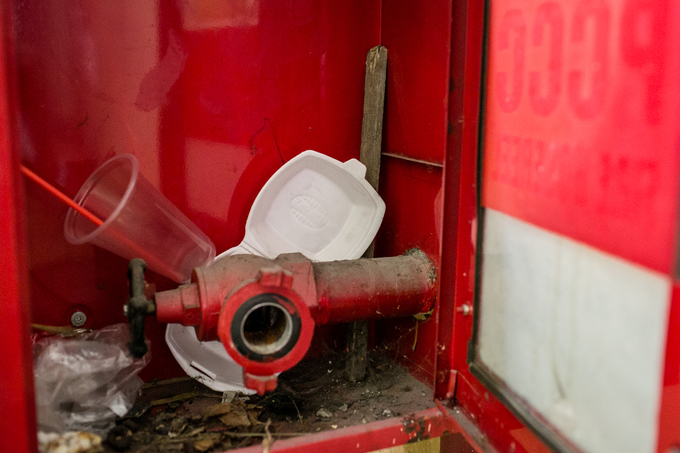 On the 8th floor, a fire equipment box is damaged and blocked by people's belongings. 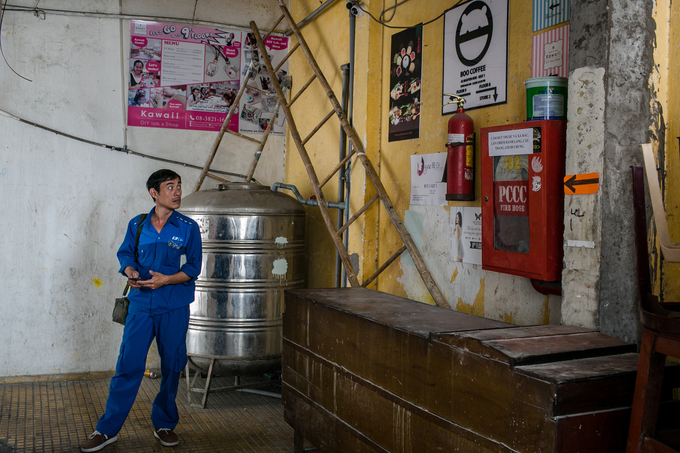 40 damaged and expired fire extinguishers are collected from an apartment building on Bui Vien Street, District 1. "After that infamous fire at Carina Plaza, of course we are all afraid. 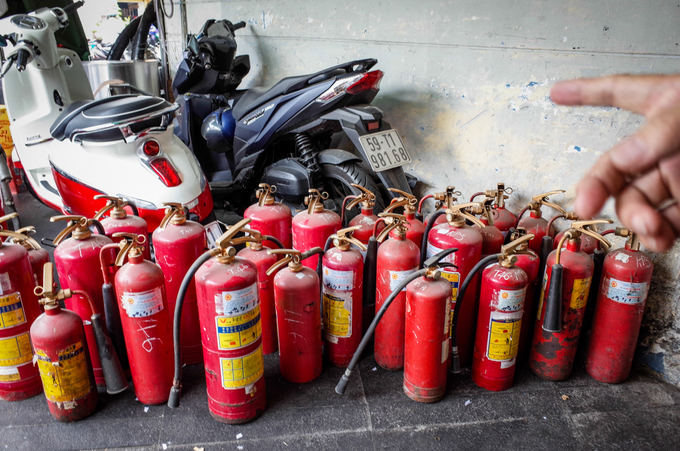 But many people just don't heed the warnings and replace their expired fire extinguishers. 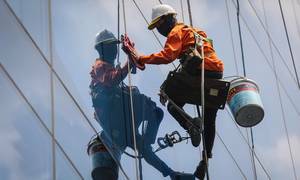 I've been trying to persuade them for days," said a member of the building's management board. 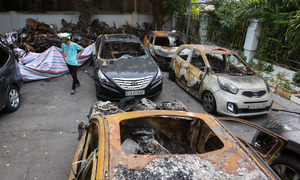 The deadly blaze at Carina Plaza in HCMC's District 8, half an hour from the central District 1, ignited at around 1.15 a.m. last Friday, just seven hours after residents held a meeting with the building's managers about fire risks, saying that guards in the parking lots often smoked, and that the elevator panels were overheating. 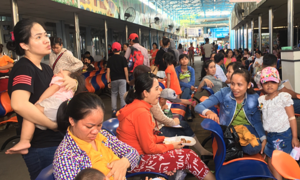 A petition from nearly 500 Carina residents was sent to Prime Minister Nguyen Xuan Phuc on Sunday regarding poor fire safety in the building and the fact that its investor has failed to step up to take responsibility.